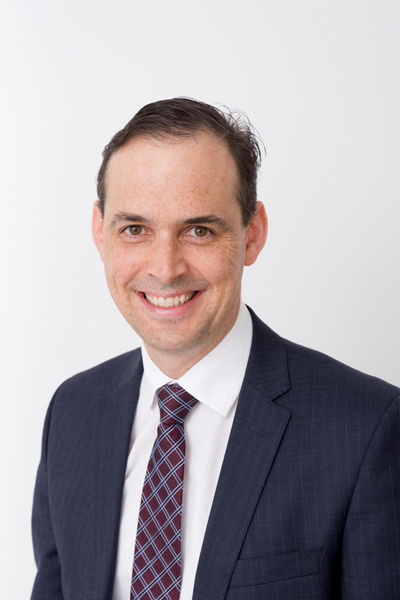 Mr Brad Newell is a Melbourne trained Urologist who graduated from medical school at the University of Melbourne before completing advanced urology specialty training in 2016. During this time, he undertook 4 years of research in prostate cancer focusing on biomarkers in prostate metastases. Since then, Brad has been active in surgical teaching and represents Urology on the Surgical Sciences and Clinical Examination Committee through the Royal Australasian College of Surgeons. He holds public consultant appointments at Austin Health and Eastern Health (Box Hill, Maroondah, Angliss and Yarra Ranges Hospitals), and is the Supervisor of Education and Training at Austin Health. Brad has a special interest in the treatment and prevention of Urinary Stone Disease and Benign Prostatic Enlargement (including Greenlight laser vaporisation). Additionally, he is trained in all aspects of general urology and urological cancers. Brad is committed to spending time with his patients in helping them understand their condition and treatment options before forming an informed decision about management. He consults in private practice at Epworth Eastern Hospital, Mitcham, Mount Waverley and Lilydale.